Robert Longbottom has more than six years of experience in site supervision, and is familiar with the processes involved to hand over a quality build on time. Robert has completed Certificate IV in Building Construction. Robert, who always knew he wanted to be a carpenter, commenced work with Buri Building & Design as a first year apprentice and has risen through the ranks to become an established and decorated member of the team. He is inspired by and loves working with wood and creating a finished product, especially in the residential space. He gets a real feeling of accomplishment and pride when he understands the transformation he has made in a space to create a polished product. Robert works extremely well when dealing with competing and challenging deadlines and timelines. He excels in prioritising workloads and delivering a superior project. He leads a team effectively and rises to all challenges put in his path. 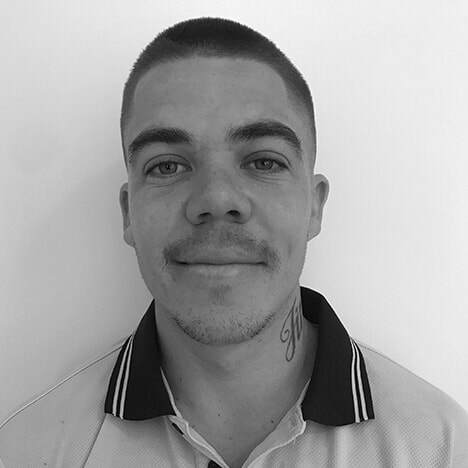 Robert is passionate about environmental awareness and has been trained in HIA GreenSmart Professional initiatives. He is keen and eager to master new facets of the building trade, and able to adapt his skills to any task. He strives to be the best at what he does and relishes the day to day learning he encounters in the building arena. ​Robert puts his skills to good use in mentoring other Buri staff.